Rob reveals how to apply the ambitions of a go-getter in your own life. Position yourself ahead of the pack, examine how to calculate risk, and understand the mind-set necessary to venture forward on your own. 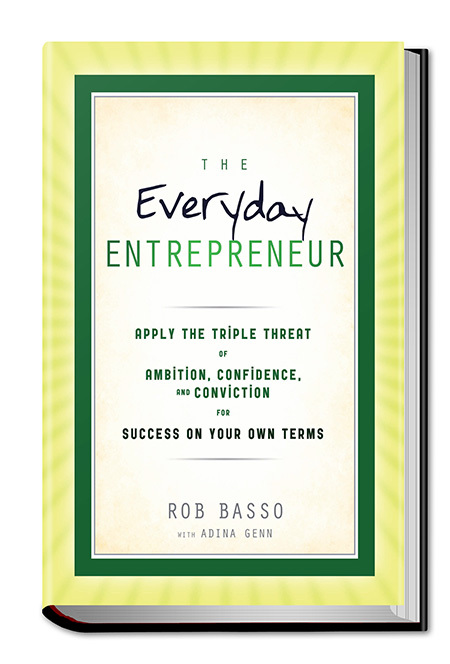 Through Rob Basso’s true life stories as well as stores from those who’ve forged their own paths, Rob’s latest book, The Everyday Entrepreneur looks at tangible strategies to achieve financial freedom at any age. The Everyday Entrepreneur is filled with strategies and powerful anecdotes about defining and setting goals and pushing for entrepreneurial success. Readers can apply the ambitions of a go-getter in their own lives, position themselves ahead of the pack, examine how to calculate risk, and understand the mindset necessary to venture forward on their own.